Along with the National Batik Day celebration on October 2, 2018, PT. Mattel Indonesia launches Barbie Batik toys, in order to inspire and educate consumers to get to know batik as Indonesia's cultural heritage. 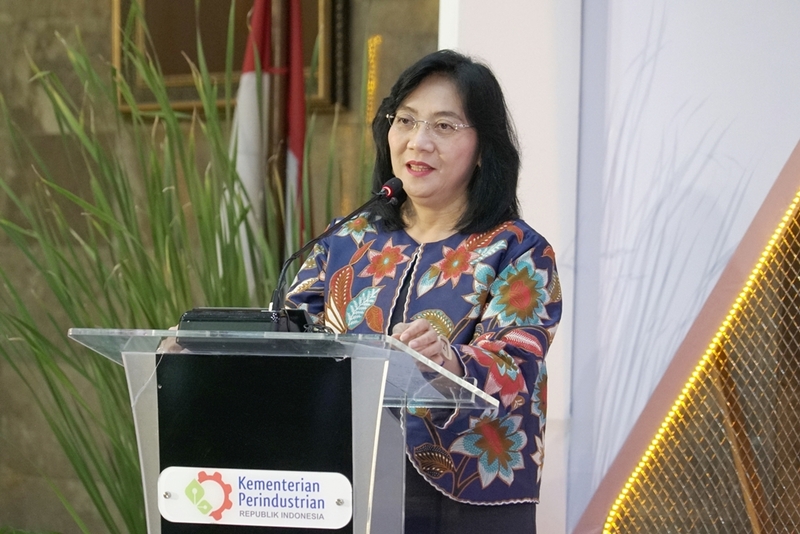 On this occasion, the Minister of Industry Airlangga Hartarto said, his department continues to actively promote batik until it becomes part of the people's needs for various aspects of life. So, Batik will not only used as formal clothing, batik can also be used to support economic activities. "For example, Barbies wearing batik that are developed by PT. Mattel Indonesia , "he said. Barbie Batik is the latest collection in collaboration with Iwan Tirta Private Collection which is named the Barbie Batik Kirana collection. This collaboration is the first time for Barbie to collaborate with local designers using national identity fabrics. The Ministry of Industry noted the contribution of the toy industry's export in 2017 reached USD302.42 million, increased 11.84 percent compared to the 2016 achievement of USD270.36 million. In addition, the toy industry production in 2017 reached IDR 10.7 trillion with a capacity of 4,575 tons. Then, last year, the investment value of the toy industry could penetrate up to IDR 410 billion and absorbed is 23,116 workers. Therefore, the Ministry of Industry gives appreciation to PT Mattel Indonesia in the development of the domestic toy industry which has been operating since 1992. This also shows that Mattel's factory is trusted in Indonesia. "Through PT Mattel Indonesia, we have toy manufacturers who mastered the global market. For Barbie dolls, six of the 10 circulating in the world were produced by the company. Meanwhile, Hot Wheels toy cars, two of the 10 products in the world are made by our nation, "he explained. In fact, PT. Mattel Indonesia is involved in a vocational education program that links and matches between vocational schools and industry, initiated by the Ministry of Industry. As the implementation of 4.0 industry in the country, PT. Mattel Indonesia has implemented full robotic technology in its production process, so the results are more efficient, optimal and quality. 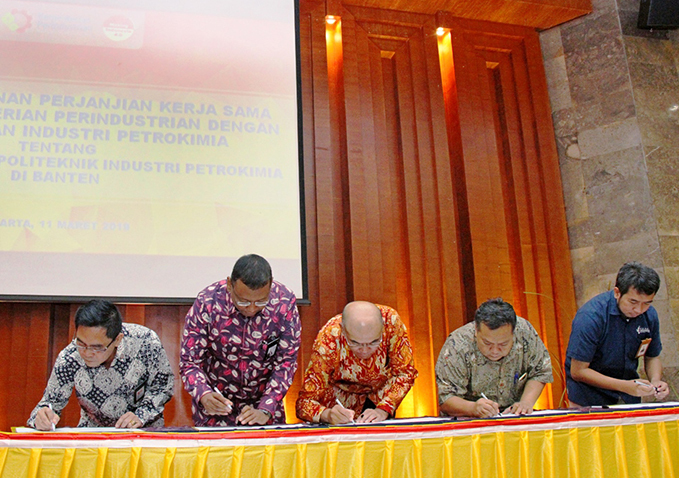 Therefore, the Minister of Industry welcomed the initiative and willingness of PT. Mattel Indonesia to become a lighthouse project for toy manufacturers in the country. "We are optimistic, with the implementation of Industry 4.0 , PT. Mattel Indonesia, Indonesia can reach the top 10 global economies by 2030 through increasing net exports to 10 percent of GDP and increasing productivity through technology adoption and innovation, "he said. Sky Foam, PT is headquartered in Indonesia. The company's line of business includes the manufacturing of synthetic resins, plastics materials, and nonvulcanizable elastomers. Currently PT. SAMINDO Electronics is a good provider of Electronics Manufacturing Services (EMS) based in nearby Jakarta Indonesia. PT. SAMINDO Electronics is trying to become one of top EMS providers. PT FILTRAS INDONESIA is the authorized agent of Filter Cloth and Filter Bag, with marsyntex brand quality of MARKERT GRUPPE Germany which has been established since 1929 and has been recognized quality in the world. In 1920, located in Nagoya, Japan, Rinnai Japan Corporation was founded by Mr. Hidejiro Naito and Mr. Kenkichi Hayashi. Initially started with producing appliances such as gas stoves, water heaters, stoves planting, and continued to grow until now to produce dishwashers, meat grills, hood and a wide range of other products. PT Printindo Utama is a globally award winning printer based in Jakarta, Indonesia. We are ISO 2001:2008 compliant, Forest Stewardship Council (FSC) certified, and Programme for the Endorsement of Forest Certification (PEFC), reflecting our world-class standards. Our experience in the business dates back to 1985. PT. TOKAI KAGU INDONESIA is Sales planning and import of furniture.